On May 17th, the MegaRoller Kick-off meeting took place in sunny and peaceful surroundings outside Helsinki. Partners from ABB, AW-Energy, Cruz Atcheson, Hydroll, Hydman, LIN, SINTEF, UiB, VTT and Wavec took part. The aim of the MegaRoller kick-off meeting was to go through the overall goals of the project, the particulars of each work package, the expectations from the coordinator, the EU project officer and the partners themselves. But, for many of the partners this was also their first chance to get to know each other, the contributions and in what context the different partners work. There are 8 work packages in the project, covering technical development, implementation, testing and validation as well as dissemination, standardization, exploitation plans and management. In the picture above, Pauline Laporte Weywada (From Cruz Atcheson Consulting Engineers Lda) is presenting plans for WP1 – Wave Resource. All WP leaders and the coordinator held presentations of their respective work package with the expected timelines, deliverables and contributions. 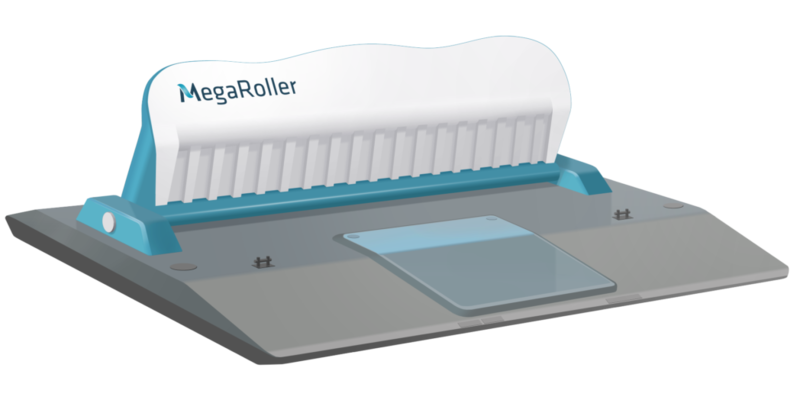 The MegaRoller project: Wave Energy development in shallow sea. The project will last for 3 years starting 1st May 2018. The main goal of the project is to develop and demonstrate a novel PTO (Power Take-off) hardware solution as well as innovative PTO control systems and algorithms. The MegaRoller project will also validate and demonstrate a full-scale PTO in a PTO test rig available at AW-Energy. As part of the kick-off meeting there were also separate meetings on WP1 Interacting with Wave Resource and WP2 Design.